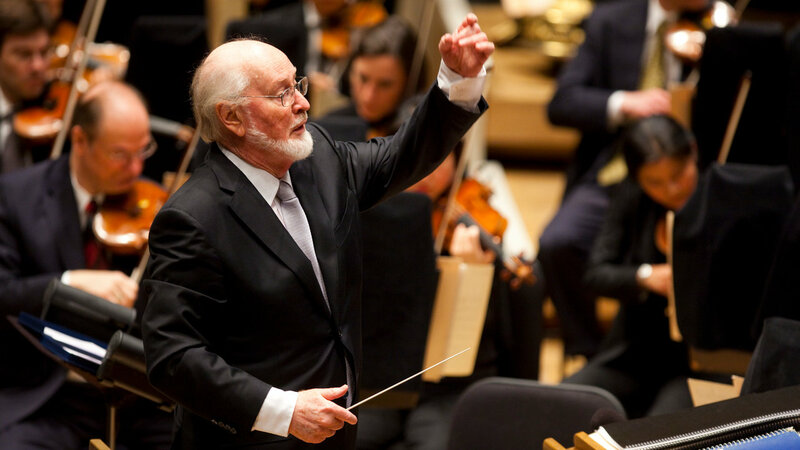 There’s no doubt, the music of John Williams is one of the pillars of the Star Wars story. Here’s a look at our favourite Star Wars pieces. Across the Stars has the most sentimental meaning for me besides Leia’s theme. My husband was up til 4.00am the morning of our wedding re-looping it for timing so the crescendo would hit the moment I reached the runner as I walked down the aisle. As a fan of hard rock it is no surprise as to my favourite piece of John Williams’ music but I do really enjoy most of his pieces, especially the Harry Potter and Jaws scores. The winner for me by a long way is the Imperial March. Although disappointingly I feel it has been overused post-Return of the Jedi the whole theme is pure evil. It commands attention, respect and spells trouble for anyone in the scene. Attack of the Clones is probably not the soundtrack most people would chose as their favourite. In fact, it isn’t mine. Over the years the score to The Phantom Menace has become my favourite collection of Star Wars tracks, nestling right alongside A New Hope and Empire as my most played. And I have to say, the scores to Rogue One and Solo have both unfolded into rich and enjoyable soundtracks, especially Solo which is simply magnificent. So why do I choose a track from Attack of the Clones? It’s a sorely underrated score, beautifully accompanying the most unique of Star Wars films. Indeed, you could argue that of the 6 original and prequel trilogy films, Clones is the one that took the biggest chance. When it would have been all to easy to ape Empire, it instead gave us a thriller, a mystery movie taking our heroes from one galactic location to the other as the backdrop of impending galactic war continued to develop and fester. As Anakin and Padme prepared to leave Coruscant, young and eager and keen to change the galaxy for the better, we heard this track, Departing Coruscant. It encapsulates all the mood and tensions of the film, while layering in the sweeping majesty of Coruscant itself. There are certainly more familiar and immediate tunes in Star Wars, but to me nothing captures the scope, danger and dread of a moment in history that slides the galaxy into conflict and despair than Departing Coruscant. There are so many pieces of John Williams that I love it is very hard to choose only one. However, the one that hits my heart strings every time is Princess Leia’s Theme. This piece is so much like Leia, sad, but with a core of strength behind it. It has always been one of those pieces that evoked emotion from me every time I heard it. However, now reminds me of not only Leia, but the actress that portrayed her Carrie Fisher…. Well, it’s no suprise what my favourite piece of music is. Princess Leia’s Theme. This piece of music evokes so many emotions, with the passing of Carrie Fisher. Initially it was sadness, but once that passed, when you hear it in the context of the film, it’s courage and hope. I love this piece of music so much that when we were married I managed to sneak it in while we signed the wedding register! I was one of the lucky few to get into the 40th Anniversary panel in Celebration in Florida and heard the maestro John Williams himself conduct this piece of music. For me it’s one of his finest. It is so hard to pick one piece of music that the maestro has composed for Star Wars as my favourite, but the one that I come back to over and over is Duel of the Fates. The Phantom Menace may not be everyone’s favourite Star Wars movie but there is no denying the soundtrack was a work of genius. When the climatic lightsaber battle kicks off and Duel of the Fates kicks in, it truly makes the hairs on my arms stand up and bow to the legend that is John Williams. The vocals that I can’t help but sing along to at the top of my lungs whenever I play it in my car jump out of the music just like Maul leaps around on screen. This is a piece of music that deserves to be played at top volume, with Zabrak horns on and with a lightsaber in hand! So many great pieces to choose from – but then it’s by no accident that he currently holds the record for the most Oscar nominations for a living person, and is the second most nominated person in Academy Awards history behind Walt Disney’s 59. As his friend and collaborator Steven Spielberg has said, without John Williams bicycles can’t fly, dinosaurs don’t walk the earth and there is no Force. One of the greatest compliments I can pay the genius of his writing is that in listening to the score you can immediately envisage the scene and the dialogue. In going back to the scores I’m constantly quoting the dialogue from the scenes that are accompanied by the music, and that they are such an integral part of the films is testament to both John Williams, and George Lucas whose vision and ideas brought the two together. For a really in depth look at the scores check out the Rebel Force Radio podcast series ‘Star Wars Oxygen’ where David Collins (yes, there is seemingly nothing this man can’t do) analyses the scores and themes used in all of the films, and explains their origins and influences. In particular, it is no secret that GL had placeholder music whilst making the films and there are several Star Wars themes that resemble elements of Holst’s Planets suite and Vivaldi’s Four Seasons. But enough plugging other peoples work, on to my choice. Having seen John William conducting my local orchestra The City of Birmingham Symphony Orchestra (CBSO) around 20 years ago, this piece stood out and still gives me goose bumps every time I hear it. I refer of course to the ‘Throne Room’ from A New Hope, where the triumphant Rebels honour the heroes of the hour (except for Chewie!). The way this piece builds throughout and reprises several of the themes from the rest of the film always leaves me smiling, and the way it seamlessly flows in to the end titles I almost view it as a part of the same piece – which is often how it is also performed in concert. Even within the cue itself, are little lulls in feel and pace which contrast perfectly with the fanfare (reminiscent of a medieval court) and give you a sense of the adventure that has just begun for the characters. So why not grab a drink, sit back and indulge your ears for a few minutes, and see if you hear Chewie’s roars and R2’s beeps even though they aren’t really there! Across the ever-expanding number of films, Star Wars owes as much to its soundtrack as it does to the visuals and effects. John Williams in particular is intrinsically Star Wars and I recall playing with my action figures back in the late 70s and early 80s with the soundtrack blaring in the background. I love so many of the pieces composed by JW, but my go to track is The Asteroid Field from the 1980 soundtrack to The Empire Strikes Back. This track perfectly embodies the peril and majestic reaction of the Falcon as it hesitantly navigates the asteroid field. It fits perfectly with the scene and I cannot tell you how many times I’ve listened to it. Certainly more than any other Star Wars piece. So, how happy was I when a snippet of it popped up in this year’s Solo movie? Very. A great nod to a sublime slice of Star Wars music. I loved the Rogue One soundtrack, from its opening flute solo, its the vibrant use of violins and resounding percussion throughout the action sequences. But how can I pick something from the Rogue One soundtrack when this is a piece on John Williams music you say. Simple. John Williams work resounds throughout it. The Michael Giacchino delivered soundtrack is so very reminiscent of Saving Private Ryan – which is itself a John Williams soundtrack. He also pulls in threads from Star Wars music composed by Williams such as the “Imperial March” and the “Force Theme” whilst still making the music sound unique – even though he never quite bringing it to the full nine note arc. In unique tracks like “Star-Dust” he uses wonderful and resounding single piano melody not seen in Star Wars music before, but yet it feels right and familiar to the work of Williams before. The final track for the film “Hope (Live and Let Jedi)” embodies Williams work. It includes “The Imperial March”, “Rebel Blockade Runner”, and “The Force Theme” all by John Williams. It shows what an influence and impact John Williams music has had on making Star Wars what it is. Star Wars music wouldn’t be the same without Williams influence. Star Wars wouldn’t be the same without Williams. But even with Williams laying down the baton with Episode IX, his music, his influence, and contribution to Star Wars will long live on through each composer that follows him.